The modern stovetop is a necessity in any kitchen. When your stove is broken, you can’t even boil an egg. Whether you have a gas stove with a broken pilot light or an electric cooktop with a faulty heating element, Aviv Service Today can help. Our trained stove repair Charleston technicians have the skills you need for all your stove repair problems. If your gas stove is leaking or your electric stove won’t turn off, don’t put your home in danger. Call the professionals at Aviv Service Today. 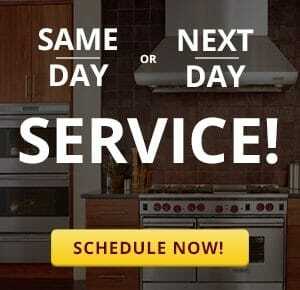 Aviv Service Today provides stove repair in Charleston on most major brands including Samsung, Maytag, Kenmore, LG Electronics, GE, and more. If you own a high-end brand stove, rest assured our service technicians have received specialized training from leading appliance manufacturers such as Wolf, Thermador, Viking, and Dacor. For more information about the brands we service, click here. The value of service you can trust is priceless, which is why we aim to provide the best customer service available in our area. We go above and beyond providing a simple stove repair service. We earn your business by providing a knowledgeable support staff, a fleet of fully trained technicians, and a full 90 day labor warranty to ensure you’re satisfied. It’s our goal to win your trust and keep your trust for the long term. We also guarantee all stove parts we supply and install for a full 5 years. For more information about Aviv Service Today’s warranty, click here. Due to its close proximity to direct heat, grease fire is a significant risk in stovetop cooking. Before you experience this yourself, you should consider what to do if your dish catches fire. If the fire is contained in a cooking pan, simply smother the fire with a lid. Do not use an oven mitt as it may also catch fire. NOTE: Glass lids make crack under extreme heat, so use metal lids when possible or step back from the pan until the flame has completely extinguished. Do not use water. This can cause the grease to spread further and exacerbate the problem. If the problem cannot be contained with a lid, you can smother the fire with a large amount of baking soda or keep a Class-A, B, or C fire extinguisher on hand. Of course, the flame retardant will contaminate food so it is important to clean up thoroughly. Do not carry the fire outside or to a sink! Attempting to move flaming grease while in an emergency situation typically causes the fire to spread. In a panic, the grease can easily escape the pan spreading the flame onto yourself or your kitchen. If the fire is more than you can handle, call 9-1-1 immediately.